As a drama teacher, all of my lessons revolve around using the tools in the Actor’s Toolbox: body, voice, imagination, concentration and cooperation. The cool thing is, we all have our own individual toolboxes. If you’re a chef, your tools might include recipe books, cooking utensils, an apron, etc. If you’re a doctor, your tools might be a stethoscope, scalpel, thermometer, etc. If you’re a baseball player, your tools would be a bat, glove, ball, uniform, etc. You get my drift. 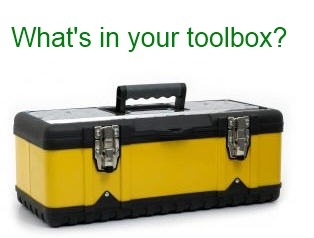 But you see, the tools in the Actor’s Toolbox are all tools that any individual can use throughout their whole life. I always try to remind my students of this. As we mature, we all have to learn to control our bodies and voices, and life absolutely requires that we use concentration and cooperation. And without imagination, our days would be lifeless in a sense. Years ago when I did a lot of my arts integration training, I was taught an amazing Actor’s Toolbox warm-up exercise created by Sean Layne of Focus 5 Inc., an arts integration workshop in Greenville, SC. I have since adapted this fabulous lesson that she shared and now, as a full time drama teacher, I find myself using this “toolbox” as the foundation of all my lessons. My students know what is expected of them and are taught that throughout their entire lives, no matter what they’re doing or where they are, the tools in the Actor’s Toolbox can benefit them greatly. For instance, they learn to be aware of how to control their bodies and voices, although that doesn’t always mean controlling themselves in such a way that they cannot move or cannot make a sound. Rather, controlling your body or voice can also mean using it properly in any given situation. When a student of mine is speaking and they are not projecting, when I ask them to please control their voice for me, they know that I need them to speak up so that they can be heard. It can go both directions – control your voice and hush OR control your voice and project so that you can be heard. In acting, and life, we must control our bodies and voices depending on the given situation. As the years go by it seems to be more and more of a challenge for us to concentrate, and yet it is a required skill to succeed. And let’s face it: without cooperation, there would be a whole lot of us in deep trouble or even in jail! 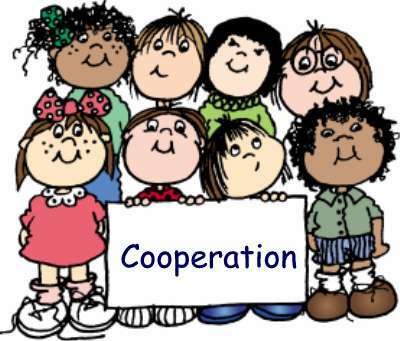 We must be able to cooperate with others in order to get along in life. These tools in the Actor’s Toolbox can be utilized in anyone’s life, no matter their profession. For an actor in particular, these tools are what help us to create and become characters. It’s all quite fascinating once you step back and really think about it. But I like to think that by recognizing the tools in our own toolboxes we can better appreciate and use them to the best of our abilities to help us achieve success in everything that we do. This entry was posted in School, Shannon Boatwright and tagged Columbia, columbia sc, every woman blog, Famously Hot, hospital blog, Lexington, lexington medical center., lexington sc, Lexington Women, lmc, LMC every woman blogger, Midlands, Midlands Women, shannon shull, South Carolina, South Carolina Women, Women, women's blog, women's hospital blog by Kate Gillmer. Bookmark the permalink.